It is common for business to operate in various arrangements. Perhaps one of the most common is to have multiple service (or delivery) address for customers. Before you proceed, you need to understand the terms and definitions of what we meant by contact, customers and orders. 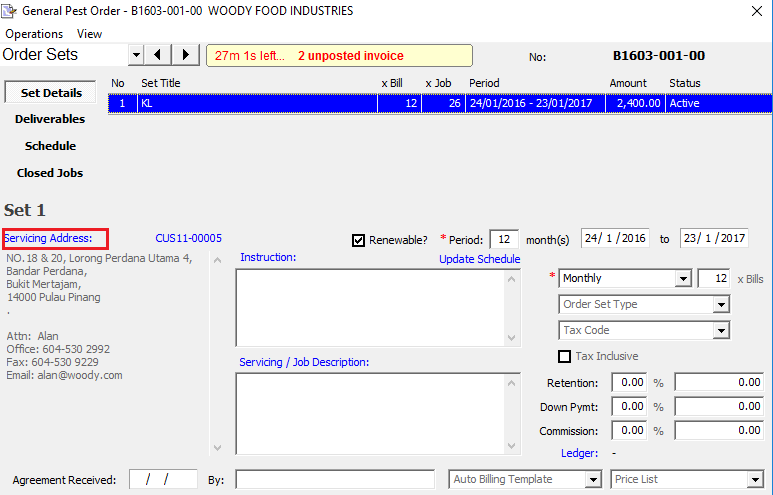 Billing Address – the contact which is meant for billing purpose. The same contact be used for both billing and servicing as well. Service Address – if the address belongs to the billing contact, then the servicing address is set to a sub-contact. It can also be a totally different account altogether. This is useful when the billing goes to the main contractor and service is performed to the end-customer of the main contractor. 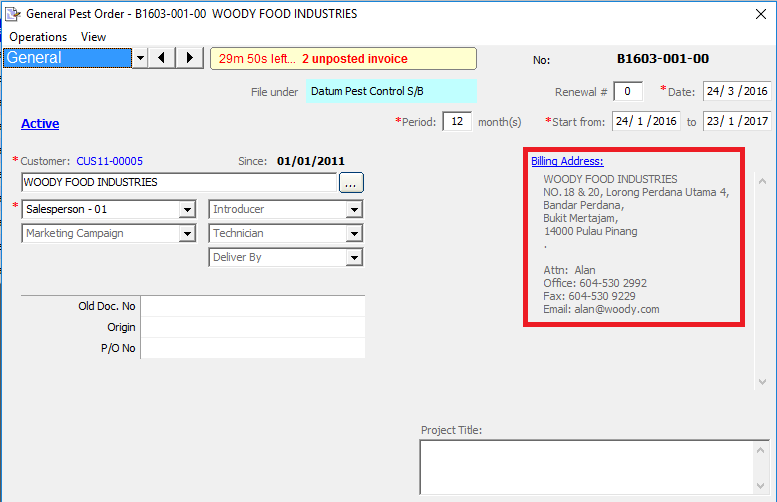 In Orders and Proposals, you can add sub-contacts or choose another contact within the Order Sets. Then the address of the selected contact will be used for servicing. 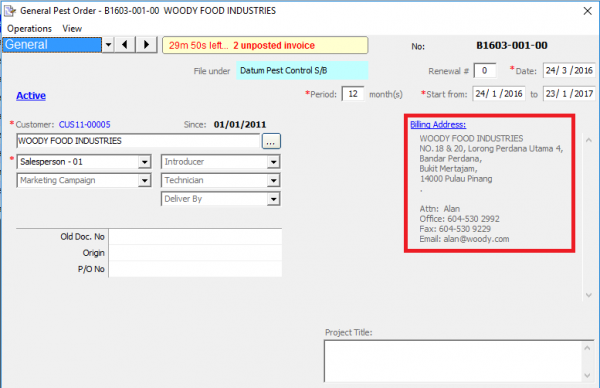 For importing data in Excel, please determine whether you need a contact or sub-contact or both. A contact will have an account number (debtor code), although you just used for servicing, which is fine.